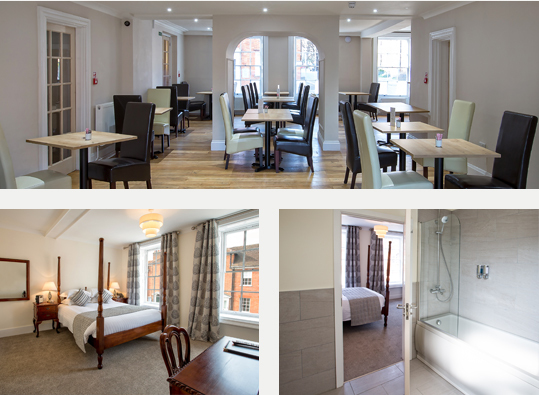 Step off the beautiful West Street, Farnham, into the peaceful tranquility of our recently refurbished family owned Grade 2 listed Hotel. 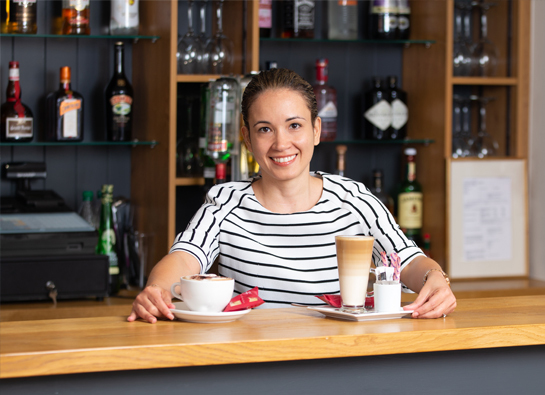 Surrounded by the Georgian streets of Farnham, The Bishop’s Table provides a central but secluded location in Farnham allowing its guests to enjoy every moment of their stay. 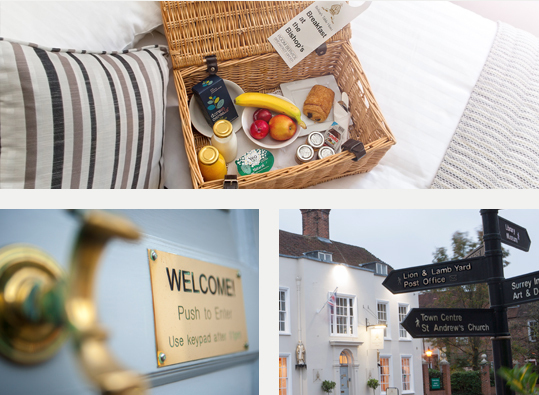 The hotel is a short drive from The Surrey Hills, The South Downs, Guildford, ancient Winchester, and only 53 minutes by train to central London. 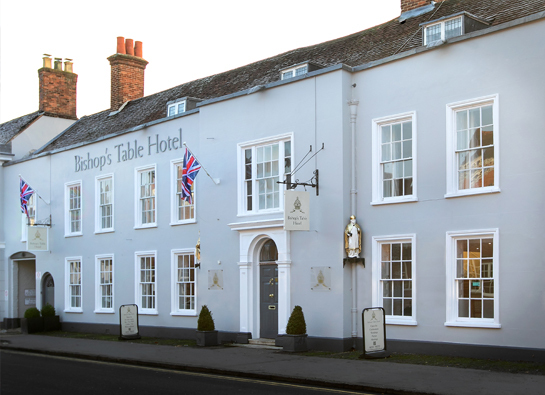 The Bishop’s Table Hotel has 24 well appointed rooms all combining traditional English furnishings and contemporary luxury. Celebrating something special? The Bishop’s Table Hotel is the perfect venue for a special occasion, including weddings, christenings, birthdays and anniversaries. The Bishop’s Table Hotel has excellent facilities for guests, including pre-booked private meetings, parties and other social occasions. With twenty four boutique bedrooms all en-suite, the hotel perfectly combines English tradition with contemporary luxury. The ambience is enhanced by an exceptional and dedicated service from our team of friendly staff, providing discreet service to the highest standards. Breakfast in our Restaurant with sunny south facing terrace. Private social gatherings, special occasions, celebratory parties and corporate events catered for. Monday – Fridays 07:30hrs – 09:30hrs. Weekends and Public Holidays 08:30 – 10:30hrs. Assistance dogs are welcome at The Bishop’s Table Hotel. Designated dog friendly room on the ground floor. Please note only dogs over 1 year old are accepted. Dogs are not allowed in the Restaurant or Bar. Dogs are charged at £10 per night. There are a number of private parking spaces available. There are also other car parks within a few minutes easy walking distance of the hotel. Our Hotel is a listed building, but has one recently built accessible ground floor room overlooking our south facing courtyard. To enter this room, there are no steps from the garden entrance. Bed heights are approximately 65cm high, and the spacious shower room (wet room) entry width is 78cm.